Plain packaging isn’t plain, though. In fact, the name is a bit of a misnomer. It is true that plain packaging prohibits all commercial content such as brand colors, logos and taglines. But tobacco packs under the new policy scheme are still very much marketing vehicles. They use extremely strong shock messages such as photos of people with huge throat cancer lumps, mouth cancers and gangrene. The mandatory text on the packs speaks its own clear and simple language: smoking kills; smoking causes blindness; smoking causes lung cancer. In a nutshell, plain packaging means that the tobacco industry is not allowed to feature any promotional content on tobacco packs, while the state promotes public health messages by means of traditional advertising tactics. Australia was the first country to introduce tobacco plain packaging in December 2012. Public health campaigners hail plain packaging as the most significant public health victory for decades. Not surprisingly, the tobacco industry is fighting back with law suits, arguing that the policy infringes intellectual property rights and is unconstitutional. So far, however, Big Tobacco has lost every single case, both in Australia and the UK. As for the scientific evidence, it points to a number of issues with these shock marketing tactics when it comes to helping people kick their smoking habit. In fact, there is evidence that the policy will have unintended consequences, which could even outweigh its usefulness, as my research in a forthcoming article in the journal Public Health Ethics shows. First, behavioral evidence for using these shock marketing tactics is not compelling. 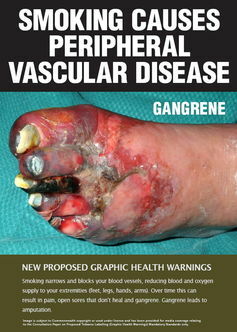 No studies have managed to establish a link between plain packaging and actual quitting behaviors sustained over time. At first glance, it looks promising: following the introduction of the policy in Australia, quit-line calls increased by 78%. This is indeed a very tangible and relevant type of behavioral impact, but the problem is that the effect quickly tailed off. After four months, quit-line calls were back to roughly the same level as before the introduction of the policy. Plain cigarette packs reduce ratings of the experience of using the cigarette pack … and increase the self-perceived impact of the health warning, but do not change smoking behavior, at least in the short term. Research on consumer behavior has documented what is frequently called “the intention-behavior gap”. For example, it is very common for consumers to be motivated to purchase ethical, fair trade and sustainable products, but to fail to act accordingly because these products usually cost more than conventional ones. Likewise, studies in health psychology have documented substantial intention-behavior gaps with respect to behavior change, such as increasing levels of exercise. In short, the not-so-plain packaging is trapped in the behavior-intention gap. Yes, the policy of having these images emblazoned on packets effectively motivates smokers to want to stop smoking, but it fails to help them actually stub it out. Some may argue that the fact that the images create motivations and desires to stop smoking is a public health victory in its own right. If it wasn’t for the unintended consequences, I would agree. But “plain packaging” has been found to create severe feelings of self-blame and disgust which, in turn, cause stigmatization of smokers. On the one hand, these side effects are not justified because they are not outweighed by other benefits of the new plain packaging rules. The fact that smokers feel motivated to stop is hardly a net gain when they at the same time are subject to emotional harm, and their chances of quitting aren’t strongly improved. Worse, though, some studies demonstrate that certain groups of smokers react negatively to shock messages. For some, the feeling of blame and stigmatization creates an emotional state of disempowerment, which reinforces the belief that it is impossible to stop smoking. In such cases, plain packaging does not only create emotional harm without sufficient justification, it is quite frankly counterproductive. 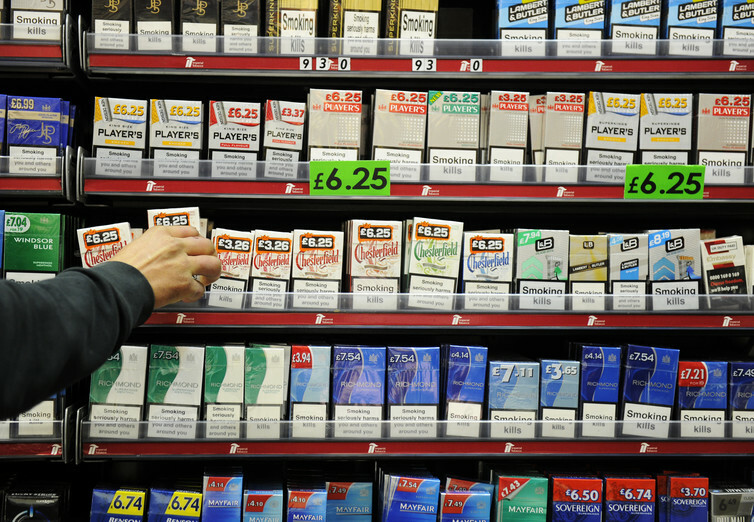 Given the lack of behavioral evidence and the serious unintended consequences, the introduction of tobacco plain packaging in the UK is an ill-advised decision, which is most likely not to have a significant impact on one of our biggest public health challenges. A change in the communication tactics used in plain packaging, however, may prove effective. Interim findings from research interviews conducted by some of my management students at the University of Glasgow demonstrate that young people tend to engage more with anti-smoking messages when campaigns use positive communications. From September 2016 I will be leading a new research project to explore alternative, positively-framed health warnings designed to create stronger motivation to stop smoking. Hopefully, this will provide a better way forward.